Trumpet silhouette with an asymmetrical ruched crystal satin bodice. Matching fabric buttons with loops line the zipper and continue down the bodice. 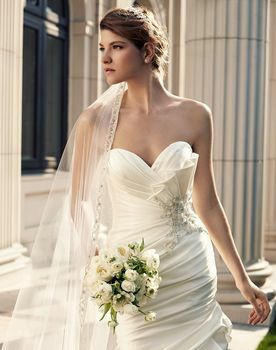 Sweetheart neckline is complemented by fan detail and beaded appliqué.